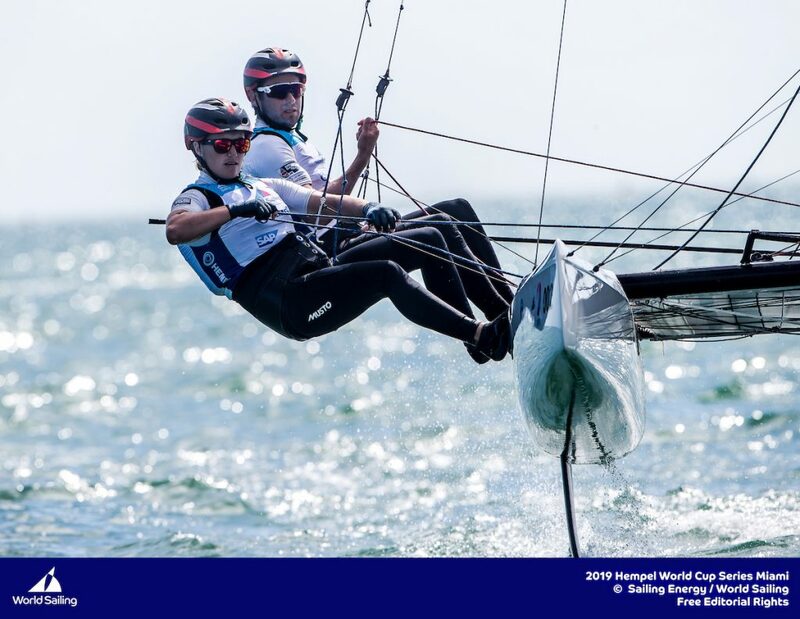 The Nacra 17 medal race started with full intensity. 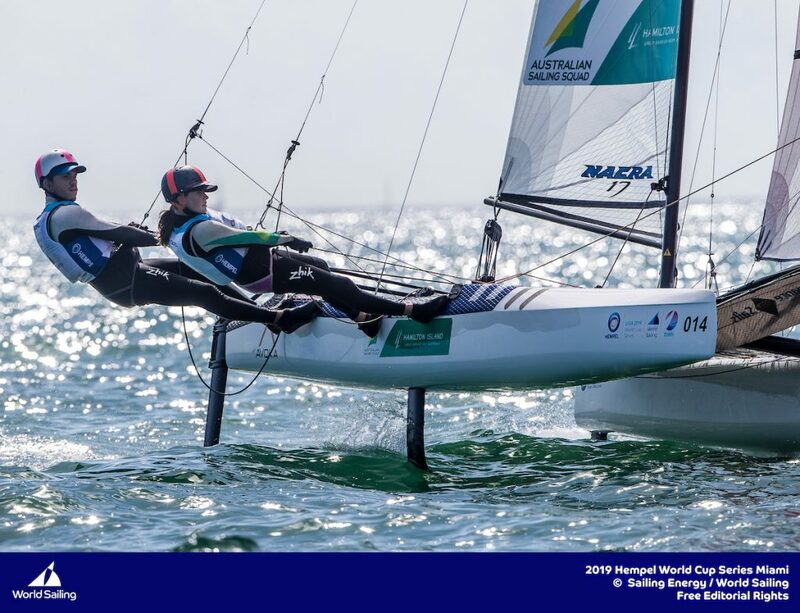 An off-camera match race between the Waterhouse/Darmanin (AUS) and Albrecht/Nicolino (BRA) saw the leading Aussies start in a commanding position. They hit the start line at full speed with the Brazilians directly behind them. The Brazilians, who have been the fastest boat all week in light air, tacked right away to clear their air, but the Australians clearly had a game plan to match them tightly, and covered. In two more tacks up the beat, Waterhouse/Darmanin matched the Brazilians very closely, and extended their lead. Both teams chose the best side of the course as well, and ended up leading the race by a fair margin over the bulk of the fleet who went left off the start line. 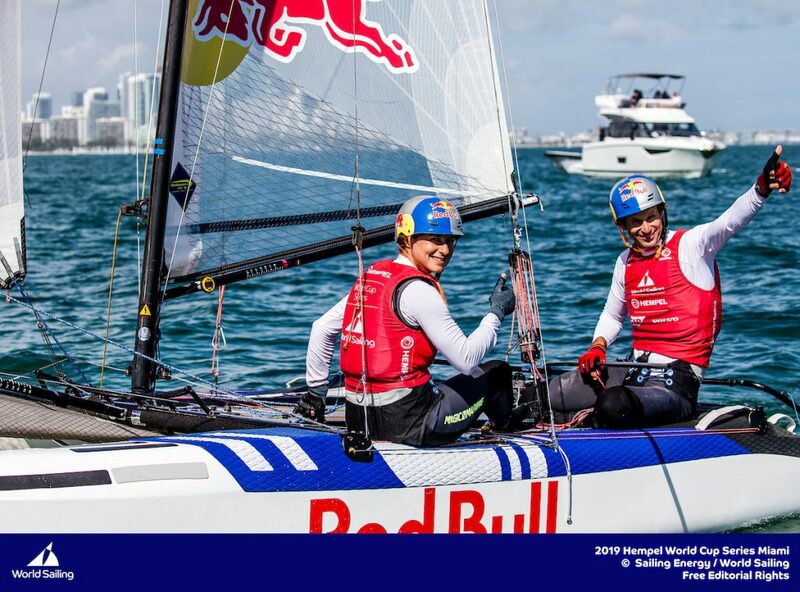 Waterhouse/Darmanin were first to get foiling downwind and extended their lead to a quarter leg. They were never challenged again, winning by almost an entire downwind leg by races end. It was certainly a fitting way to conclude a regatta win! The focus of the medal race then shifted to the battle for the bronze medal. 2016 Gold medalists Lange/Carranza (ARG) were aiming to fend off three chasing teams. Immediately behind them were the other Australians, Darmanin/Copeland, as well as Britains Gimson/Burnett and Austrias Zajac/Matz. On the second beat, the Argentinians went quite far right while the Australians when quite far left as the wind got a bit patchier. 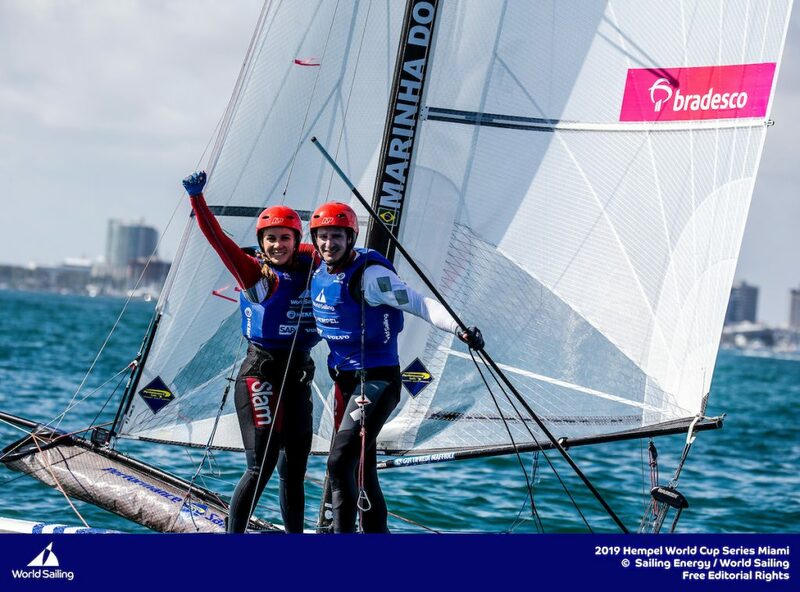 The Argentinian champs came through on the right side, sailing in fourth place in the race easily holding onto the Bronze for another medal performance in their stories careers. 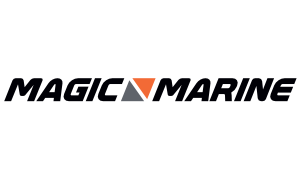 The scene shifts to Europe now with the next Vilamoura Grand Prix in February and then the traditional season starting in Palma.